Here you see Diana Nyalik. Her sister (shown down) is called Mercyline. Diana is 22 and Mercyline is 20 years old. They live in Ruiru, Kenya. They are the oldest two in a family of seven brothers and sisters. They all live together in a one bedroom appartement with their mother. Their father is alive, but doesn’t live with them. He left the family, and that is how their mother became the only bread-winner, as a casual worker in a construction factory. Mercyline had to quit high school due to lack of money. Diana did finish her high school, but wasn’t able to go to college. In that idle time, they have helped their mother in the household, and volunteered in their church community. With the Maryosa studie support, both now attend(ed) school again. 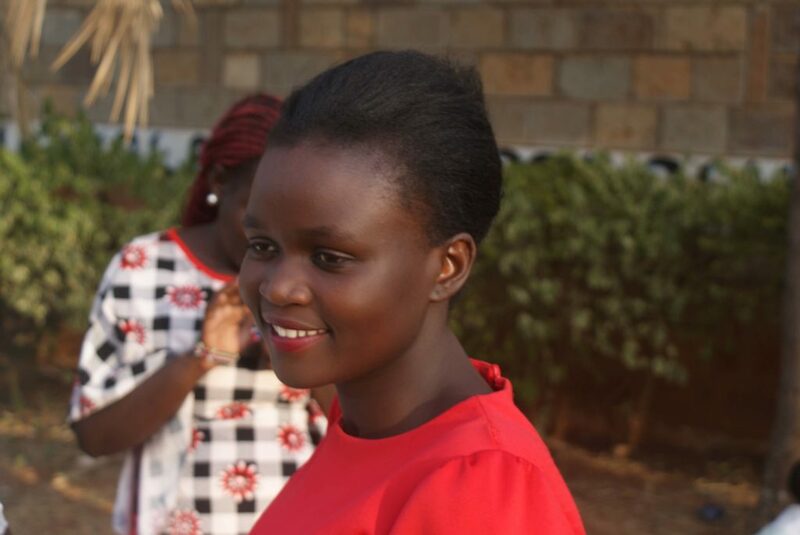 Mercyline finalized her high school in December 2017, while Diana started her study on ‘Social Community Development’ in September 2017.